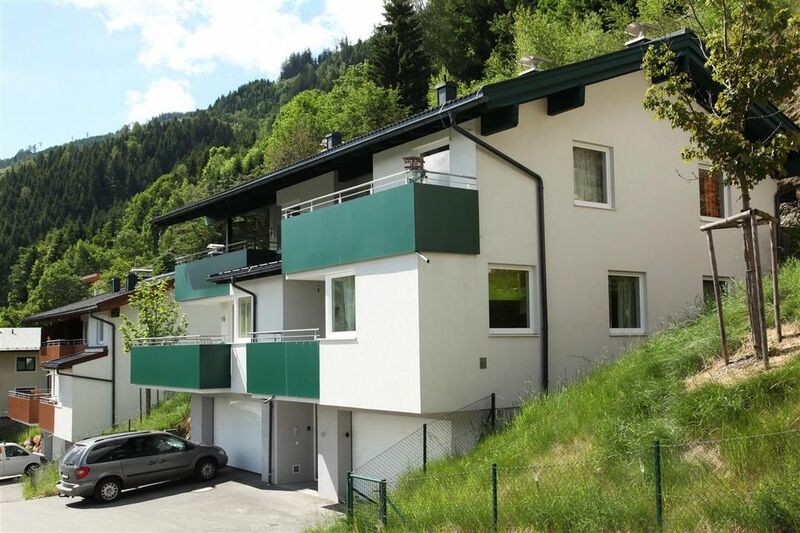 Comfortable, newly furnished apartment in a quiet sunny hillside on Bruckberg - from the spacious balcony you can enjoy the views of the Kitzsteinhorn! We enjoyed our stay in this apartment. It is very clean, modern and quiet. The rooms, while small, are comfortable with storage if needed for belongings. Having a garage was a real bonus. The location seems rural, but there are several places within walking distance. Both Kaprun and Zell am See are short drives or bus rides away. Communications with owners by email was easy. A real value. Wonderful, modern apartment - Brilliant! The owners made us feel welcome from the first email, with friendly, prompt responses and they were very helpful with handling bank transfers etc from overseas. The apartment is everything and more shown in the photos. We absolutely loved it and it felt like a home away from home, with everything we could possibly need. Zell am See has two ski areas, so plenty of choice and it's a nice trip to go and visit Salzburg too. It was very handy having the car in a garage, particularly when it snowed. Warm toasty boots are welcome too! We HIGHLY recommend this apartment to anyone looking for an apartment in this area. It is BRILLIANT! Zustand und Ausstattung genau nach den Fotos. Alles war gepflegt und sauber. Mit dem Auto ist von dort alles bequem zu erreichen. Die Straße zur Wohnung war den Hang rauf, bei unserem Aufenthalt, etwas vereist (kein Schnee, Straße war geräumt), aber wenn man sein Auto beherrscht dann ist das kein Problem (Anti-Schlupfregelung 'aus', ein bisschen mehr Tempo und man hält perfekt vor der Garage). Lækker lejlighed med alt man kan ønske. Die Ferienwohnung ist perfekt für einen Skiaufenthalt wie wir ihn hatten. Die Beschreibung und die Fotos stimmen 1:1 mit der Realität überein und wir kommen sehr(!) gerne wieder. Die Wohnung liegt ruhig, aber trotzdem innerhalb von höchstens fünf Minuten mit dem Auto zu Einkaufsmöglichkeiten und dem Areit-Express. Viele Ausflugsziele in kurzer Distanz. Ein paar Baustellen die aber nicht schlimm sind. Zell am See - a town in the mountains, directly on the Zeller See! The Kitzsteinhorn with its glittering glaciers located in the immediate vicinity. Thus, there are endless opportunities for an active relaxing holiday. In winter: skiing, snowboarding, cross-country skiing, winter hiking, ice skating, sledding or relaxing in the Tauern Spa, for every taste is catered for! For golf lovers: The golf courses of excellent golf course in Zell am See - Kaprun are close to the apartment. The town of Zell am See with its beautiful old town and its pedestrian zone offers great shopping, cozy cafes and restaurants, pubs and nightclubs. Also art and culture are not neglected: concerts, music festivals, exhibitions and more promise an interesting holiday!